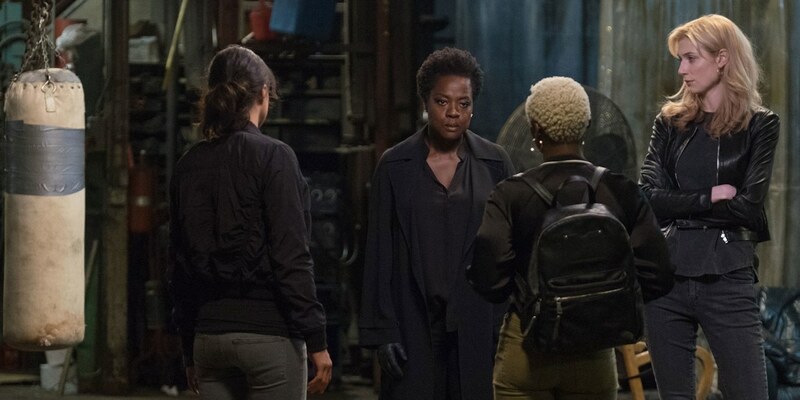 “Widows” opens by cutting back and forth between the tranquil intimacy of Veronica (Viola Davis) and Harry (Liam Neeson) Rawlins in a bright white Chicago high rise and the cacophony of a violent nighttime robbery masterminded by Harry gone wrong. The elliptical editing generates tension, no doubt, but also deliberately obfuscates who’s and what’s what. That’s because director Steve McQueen gradually pulls back, bit by bit, to reveal the narrative’s full tapestry, suggested in scenes where medium shots and close-ups eventually give way to long shots, allowing us to see the space inhabited by the characters. As such, “Widows” becomes a heist thriller fused with a political drama, a generally successful hybrid that still struggles, with often potent commentary occasionally drifting toward incomplete button-pushing polarization. The political power struggle, meanwhile, reveals itself more about the powerless struggling just below it, where a palpable cynicism creeps in even as the eponymous widows find self-preservation by getting theirs, as if the only solution to the Chicago Machine isn’t shutting it down but momentarily sticking a broom in the gears. When Harry dies in the opening getaway along with his crew, Veronica receives a visit from the man Harry ripped off, Jamal Manning (Brian Tyree Henry), running for alderman of the 18th ward, demanding compensation or else. The only way to pay, she realizes, is by making like her late husband and pulling a score of her own, enlisting the crew’s other widows, Linda (Michelle Rodriguez) and Alice (Elizabeth Debicki), in her cause. Working with writer Gillian Flynn, McQueen presents just enough of a window into each woman’s world to unearth motivation, from the ice cold shoulder Linda receives from her mother-in-law to Alice’s manipulation at the hands of her mother, urging her daughter to continue leaning on men, a cycle that Alice indulges and then breaks, and which Debicki brings home in a performance that becomes, truly, the film’s single most joyful thing. And though Belle (Cynthia Ervio) does not get as much screen time, a few concise scenes conveying the heavy burden she carries to make ends meet renders her sudden role as getaway driver believable, as does Ervio’s formidable staredown of Davis. If Manning is the impetus of the heist its target becomes Manning’s Alderman opponent, Jack Mulligan (Colin Farrell), son of prominent old coot (Robert Duvall) who is mainly on hand to spout racist, sexist bile, though Duvall’s absent-minded delivery manages to elevate the character anyway, making him seem like he is lost in the fog of that bile, determined to keep his family name on top of the neighborhood’s proverbial marquee, the Chicago Machine in action. Both candidates, in other words, are corrupt, a harsh if predictable assessment of the city’s politics. What’s more interesting, if cynical, is how little value “Widows” sees in grassroots activism. Manning is introduced in the ironic locale of a church campaign headquarters, conspiring with his enforcer brother Jatemme (Daniel Kaluuya, chilly if too enamored with his own chill). Eventually McQueen cuts to a long shot where we see the two men through a gaggle of empty chairs and tables with various supplies strewn about, suggesting the nefariousness that takes place after campaign workers have gone home, depicting their beliefs and hard work as inconsequential. Jack’s later speech to a conspicuously small crowd in his ward about minority women owned work (MWOW) deliberately comes across like lip service, underlined in his limousine ride home where the city streets morph from rundown to stately and secure as he rants about his constituents from behind tinted windows, the unbroken shot unequivocally illustrating distance and proximity between the electorate and the elected. No, in McQueen and Flynn’s telling, MWOW stands for hitting back at the system directly, Robin Hood style, an idea which “Widows” teases out until the very end, providing set-up that you wish was a little more filled in. What it doesn’t set up so much is the heist, giving us an overview of the Widows’ forthcoming invasion of Jack’s home but leaving out many of the intricate details, effectively elevating the suspense as the robbery plays out since we don’t know precisely what’s coming any more than they do. At the same time, however, McQueen conveniently lines up a few ducks right in a row to get waxed, an inadvertent but righteous cleansing, perhaps, but also a betrayal of moral ambiguity. That betrayal is just as present in the movie’s most noxious scene, a brief flashback in which the black son of Veronica and Harry is shot and killed by a cop at a traffic stop, so quickly sketched that it plays as mere provocation. 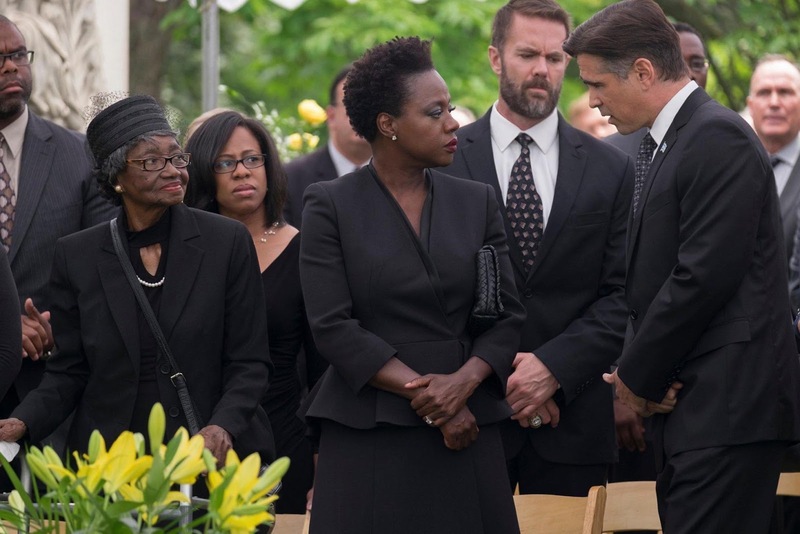 What makes it more egregious is that Davis convinces us of that grief all on her own, occupying an emotional space between hurt and dignity throughout the movie, a moving evocation of what it takes to stand up on your own after being knocked down, albeit by slightly untraditional means. And even if the movie skews politically cynical, there is something about the smile that Davis has Veronica muster at the conclusion that doesn’t feel artificial but earned, as if corruption’s only antidote is the wherewithal to find faith in people.